CIT Training for Law Enforcement is Saving Lives. The Law Offices of Patrick J. McGeehan, P.A. CIT Training is saving lives! Many of my family law and criminal cases involve parties with various mental-health issues. Most importantly, these issues complicate the resolution of their legal matters. Several years ago, I was fortunate enough to attend a week-long law enforcement Crisis Intervention Team (CIT) training. The training provides law enforcement officers with the tools they needed to deal with mental disorders and addictions. Along with mental-health professionals, law enforcement officers can direct these individuals to proper therapeutic channels. Previously, they went to the criminal justice system and usually, lost in the abyss. Above all, law enforcement CIT programs improve community relations, while at the same time, making it safer for all involved. Incorporating CIT training into my practice. With this in mind, I took the knowledge I learned in CIT training and successfully applied it to my law practice. 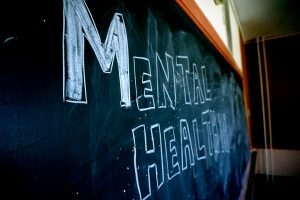 As a result, I can direct my clients to appropriate mental-health professionals. These professionals assist the client and my law firm in navigating the client’s mental-health issues. Furthermore, this eases the process of resolving legal issues. On occasion, I have been able to form a team of legal and mental-health professionals to help. When needed, we are able to collaboratively work together on the most critical cases. These cases involved parties at or near a mental-health crisis. I have used various portions of the CIT protocol to resolve divorce, child custody, domestic violence, Marchman Act and Baker Act cases. Here is how it fits. Recently, in a very contentious child custody case, my client’s child contacted my client and began making very credible suicide threats. My client happens to be a local police officer and is CIT trained. After the crisis stabilized, my client contacted me and explained what happened. I immediately recognized the actions my client took as textbook CIT protocol. My client was able to quickly and successfully resolve his child’s mental-health crisis. The client accessed the appropriate law enforcement and mental-health professionals and got treatment for the child. In the end, this is but one example of the benefits of CIT training saving a life, a very precious life, during a situation that had the potential to become a life-altering disaster. I am sure these types of incidents occur regularly in the community and across the nation with little mention. This is perhaps, the most severe example I will ever face as a lawyer representing clients, but I find comfort in the knowledge that there are professionals in my community who can successfully navigate such potential tragedies. Lastly, if CIT training is available in your area, I highly recommend taking it. In other words, the life you save could be that of someone close to you. Please see our YouTube channel, “Your South Florida Lawyer, Patrick J. McGeehan,” for more videos explaining legal concepts in easy to understand terms.